It determines the way in which Synfig decides whether a point is 'inside' or 'outside' which coloring the layer in. The top two images have their region winding styles set to "Non Zero" and the bottom two have their region winding styles set to "Even/Odd". "Even/Odd" makes the region see-through when it crosses itself. 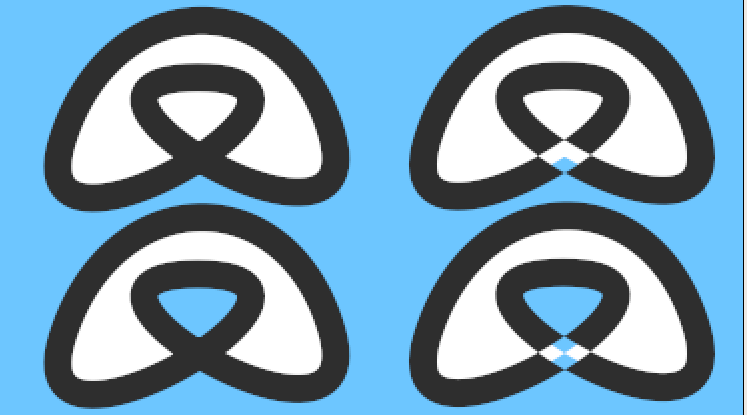 The left two images have their outline winding styles set to "Non Zero" and the right two have their outline winding styles set to "Even/Odd". "Even/Odd" makes the outline see-through when it crosses itself. http://dooglus.rincevent.net/synfig/regions.html has notes I made while investigating how region filling works, and describes the Winding Style parameter. This page was last modified on 20 May 2013, at 04:05.